Hong Kong could be facing a major blow ahead of the World Cup Qualifiers with the news that batting star Mark Chapman is on the verge of selection with New Zealand. The 23 year-old has been in prolific form in white-ball cricket with Auckland and this has alerted the Kiwi selectors ahead of a tri-series with England and Australia. 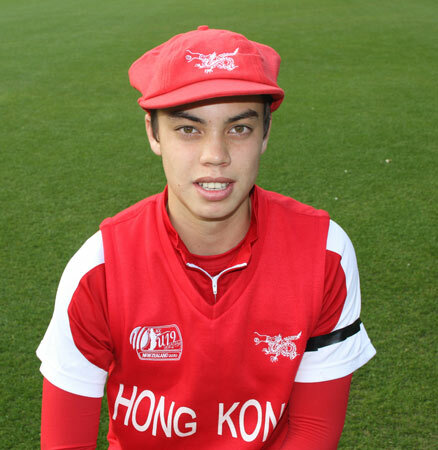 Chapman has played for Hong Kong since his debut as a fresh-faced 16 year-old, but has always aspired to represent New Zealand. His father Peter was born there before moving to Hong Kong for work, meeting and marrying his wife Anne. Mark moved from the region to attend school in New Zealand when he was 13. Hong Kong will be hoping against hope that Chapman isn't called up before March when the WCQ gets under way in Zimbabwe, but it appears that even if it doesn't happen, Chapman may well opt not to play in the tournament. That would be a major blow for Hong Kong as they attempt to emerge with one of the two World Cup slots on offer at the ten team cut-throat competition.